BNNT, LLC, a Newport News, Virginia start-up, began construction of the world’s first commercial factory dedicated to the manufacture of Fibril Boron Nitride Nanotubes,“Fibril BNNT™.” Boron nitride nanotubes are as strong as the better-known carbon nanotubes, but are much more heat resistant and much easier to synthesize in a high quality form. Newport News, VA – The Economic Development Authority of the City of Newport News, VA is making a $400K loan to BNNT, LLC for setting up manufacture of Fibril Boron Nitride Nanotube (BNNT) in the City. The facility will be the first in the world, making Newport News the first-to-market location for producing this revolutionary material. A new study has shown that adding boron-nitride nanotubes to the surface of cancer cells can double the effectiveness of Irreversible Electroporation, a minimally invasive treatment for soft tissue tumors in the liver, lung, prostate, head and neck, kidney and pancreas. Although this research is in the very early stages, it could one day lead to better therapies for cancer. Newport News, VA – BNNT, LLC has just secured the Intellectual Property for making Fibril Boron Nitride Nanotubes (BNNT) and Fibril BxCyNz nanotubes commercially available. 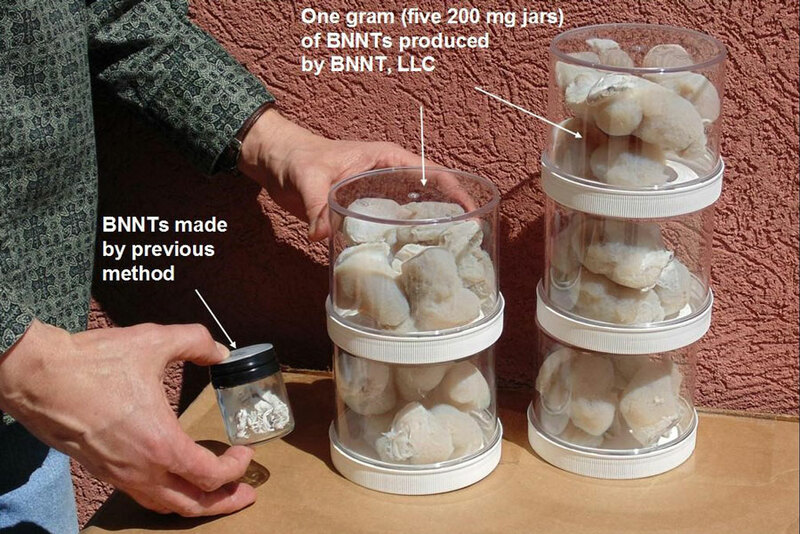 Though BNNT was first produced in 1995, the material has been minimally available outside of a few research laboratories, as the initial production processes did not scale. However, a scalable process for synthesizing Fibril BNNT was developed a few years ago and a process for Fibril BxCyNz was developed more recently.